Yesterday at CTIA 2011 in Orlando, Sprint announced that it will be integrating Google Voice. This allows users to use their Sprint number as their Google Voice number, or vice versa. 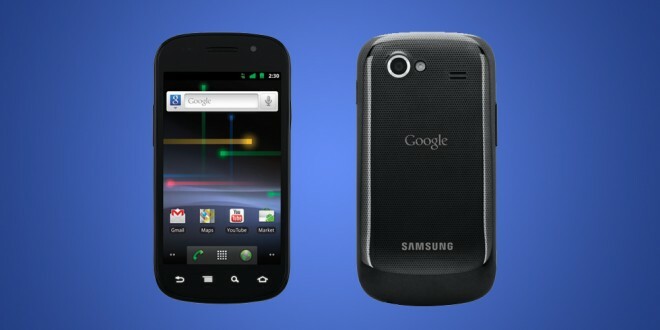 On the heels of that announcement, the company also stated that it will carry the Nexus S 4G. The Nexus S was released back in December, and was somewhat underwhelming. It had a couple of cool features such as a 4 inch curved display, which conformed to your face, making long conversations more pleasant. However, the hardware was a bit outdated sporting only a 1 GHz single-core processor and it lacked a microSD expansion slot which allows for more storage space. The Nexus S 4G is similar in almost every way to its predecessor, the Nexus S. This is not a full revision of the device, the only major change was the addition of 4G. It would be been nice to see additions such as expandable memory or a better processor. With devices like the Motorola Atrix and the newly announced HTC EVO 3D featuring dual core processors, it would have been great to see a dual core Nexus S. Regardless, Samsung and Google should have at least upgraded to the 1.5 GHz single core processor instead of the outdated 1 GHz one. Both the Nexus One and S are GSM only devices, meaning that in the US, only AT&T and T-Mobile could use the device. The addition of CDMA is big because it means that the device may soon come to Verizon as well. By having a good Android phone on each of the four major carriers in the US will be great for the proliferation of the Android OS. Of course there will always be devices better than the Nexus S, such as the new HTC EVO 3D, but those are carrier specific. Although the Nexus S 4G is not pushing the envelope with its hardware, it does bring up some interesting ideas. When will it come to Verizon? Will the average consumer go for the Nexus because it has stock Android? We have not seen any concrete dates as to when the Nexus S 4G will be available, but according to Google, it will be sometime in the spring. It will be available for purchase either online or in-store at Sprint or Best Buy.